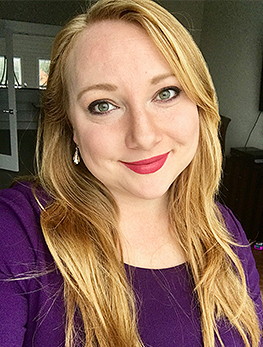 I am a Licensed Marriage and Family Therapist who believes in fostering a therapeutic space where my clients can have a positive experience in which they can challenge themselves to honor all of who they are, not just pieces that our society, culture, family, and relationships have given them permission to be. I strive to empower my clients through the exploration of messages they have received in their life from all systems so that they can thrive being their authentic self. My mission as a therapist is to help you heal through meeting you where you are and holding hope for you in your darkest and most challenging moments. Relationships with ourselves, family members, friends, partners, and co-workers are full of complexities, and can be difficult to navigate. I will be there with you to help you explore these complexities and find the beauty within them. I accomplish this through collaborative use of Narrative, Experiential, Structural, and Cognitive Behavioral techniques with individuals, couples, and families. I am a trained EMDR therapist by The Institute of Creative Mindfulness of Ohio and use this with clients who have experienced trauma as well as those who have been diagnosed with a wide range of mental health issues. I obtained my master’s degree from Seton Hill University in Marriage and Family Therapy. I offer individual, group, couples, and family therapy. I am trained in Eye Movement Desensitization and Reprocessing (EMDR) and use this therapy with the teen and adult population. I have experience working with clients who have a myriad of struggles and diagnoses. I have had the privilege of working with clients ranging from age 3 to 80 in various settings, including outpatient centers, residential treatment facilities, mobile therapy in homes and in schools, and doing family therapy in homes. In these different settings, I have had the opportunity to work with individuals, couples, co-parents, groups, and families from various cultural, economic, and religious backgrounds. Cigna, Optum (United), Blue Cross Blue Shield, Highmark, UPMC, and Out of Pocket.